When you book a party with us, you also have the option to add magical party favors that transport the children (and adults, too!) all the way to Hogwarts. So skip the goodie bags and create an experience your child will remember forever! This is where the broomsticks come alive! Our incredible balloon sculptor can make your little Harry or Hermione their own special Quidditch brooms. And that’s not all! We can also make special Witch or Wizard hats, a Dementor balloon (and the children can practice their Patronuses! ), even Hedwig can make an appearance. After the magic show, the children can choose from a variety of Wizarding World options to keep them engaged for the remainder of your party. Plus, these are balloon creations they will want to take home to show off to their friends (and parents will love them, too!) as you truly haven’t seen balloons quite like this before. Promise. And it really adds a special, personal touch to the day. Honestly, what birthday party isn’t complete without face painting? From a quick lightning bolt, owl, Hogwarts House colors – or mascots (a Hufflepuff badger perhaps?) – to a full Bellatrix Lestrange look-alike, our resident face painter can paint faces or hands as the kids are arriving and then continue after the show until every child is wearing a true work of art! Easily removable with soap and water, face painting is a fun way to engage each child into the world of Hogwarts without needing a special costume – they can be transformed within minutes keeping them engaged and excited. The thing that’s so special about the world of Harry Potter is that learning magic is part of the experience. The children get the unique opportunity to be students of magic and wizardry for an afternoon. 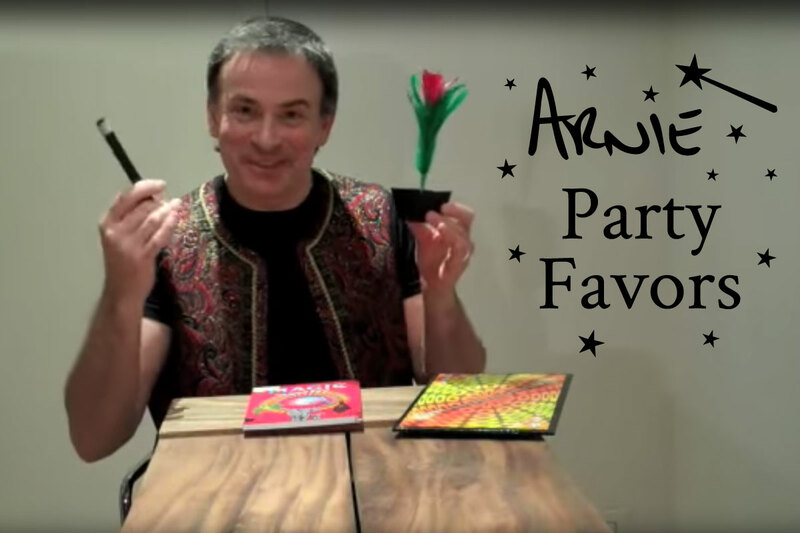 That’s why adding a magic trick party favor can be the most memorable addition to the party – not to mention a favor that lasts well beyond the party! Dumbledore will personally teach the children how to make their very own magic coloring book. When you flip the pages they are all blank, then line drawings appear on every page. As a grand finale, the drawings magically color themselves in! It’s a favor you child can keep for a lifetime! We are happy to customize any of these favors for your party! Choose one or a mix of a few different options knowing that each addition will create something truly unforgettable to your child’s special day.